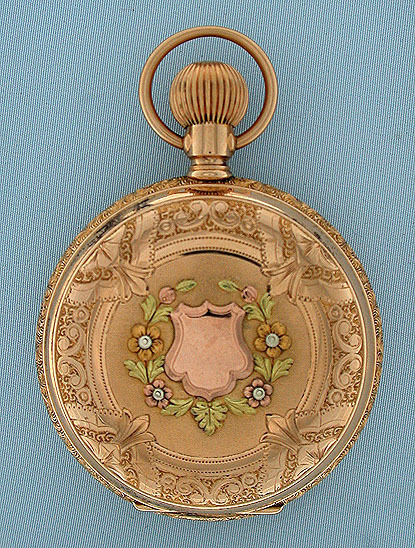 Handsome Waltham 14K multicolor gold 18/S hunting case antique pocket watch circa 1907. 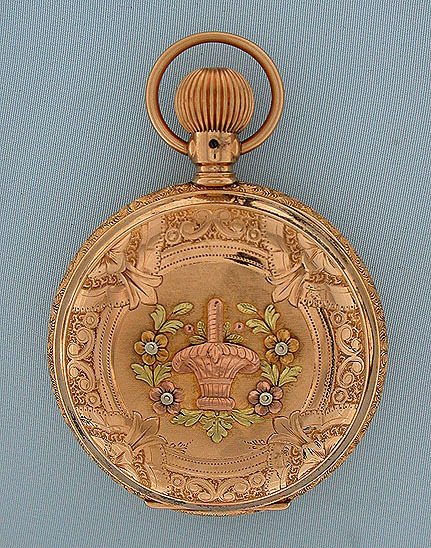 The case engraved overall, the front and back with decorations in various colors of gold. 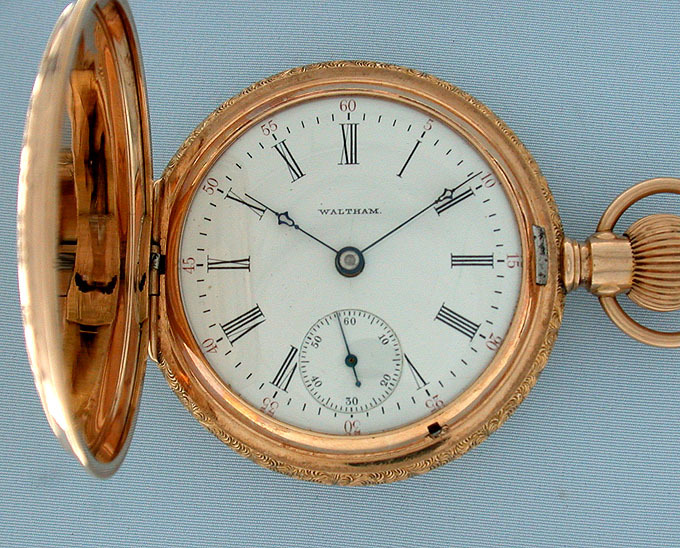 White enamel dial with red and black numerals and fancy blued steel hands. 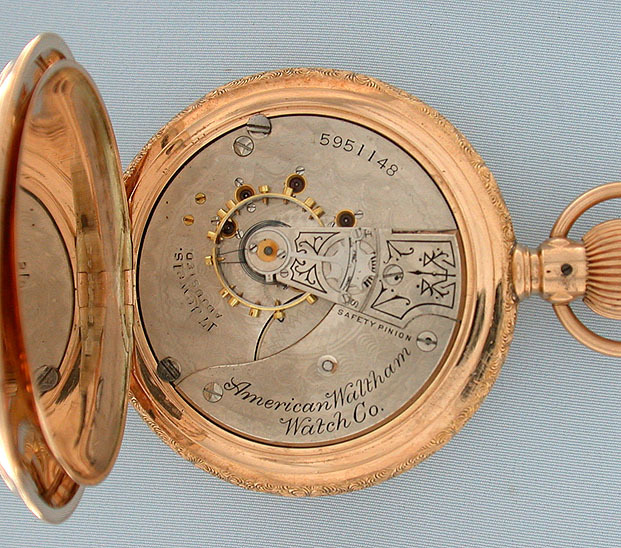 Nickel 15 jewel movement with screwed jewel settings and precision regulator.